Acer announced the introduction of an “innovative school program” to select and support schools that have embraced Acer technology to try out and implement new teaching and learning environments. The Acer Innovative School program allows teachers to be part of a social network aimed at sharing best practices, learning and getting support from peers, being engaged in #AcerforEducation. And that’s not all. It also provides access to expert views on future education trends and allows teachers to engage with colleagues across countries and be eligible for upcoming Exchange Students programs. Lastly, schools are also eligible to receive demo devices for testing and piloting activities. “Our goal is to continue supporting schools and institutions in their journey by offering a 360-degree ecosystem. In fact, Acer for Education brings together hardware, software, innovative technologies, and best in class service and partnership networks to meet the requirements of the schools of tomorrow” says Massimiliano Rossi, Vice-President, Acer EMEA Product Business Unit. The very first 15 Acer Innovative schools from 10 different countries have already been selected and invited to join the 1st Teacher Advisory Council, with more to come in the next months. 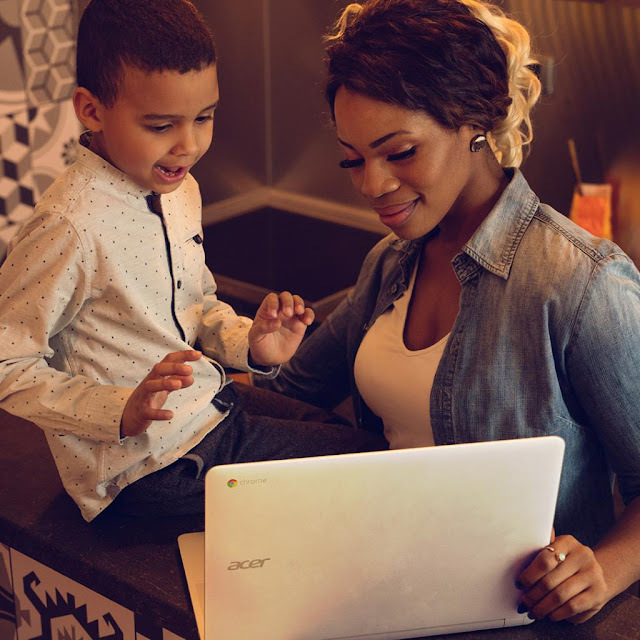 To serve the education market at its best, Acer has built a comprehensive ecosystem that combines an advanced hardware portfolio with software and best-in-class service. Our hardware solutions feature tablets, 2-in-1 devices, notebooks, Chromebooks, desktops, monitors, and projectors. In particular, the Chromebook Tab 10, Chromebook Spin 11 and TravelMate B118 have been specifically designed for the Education market. Coding products like the Acer Cloud Professor, as well as Acer Windows Mixed Reality, strengthen individual student capabilities and help them learn in new ways. Texthelp, a literacy and learning solution that helps students to achieve their potential by understanding, reading, writing and communicating with greater ease and confidence. The 21st-century classroom requires more than just a set of devices, and Acer has built an extended ecosystem of partners to provide innovative and comprehensive solutions to the education community. Acer’s close-knit network includes institutional, alliance, channel and professional development partners, all working together with the same goal in mind - to create the best environment to serve the constantly-changing needs of education. Professional development partners offer schools and teachers high-level professional development training to enrich their knowledge and help them to find new teaching methods. Alliance Partners such as Microsoft, Intel, and Google work with Acer to empower students and teachers to create new ways of teaching and learning by jointly supporting pilot projects and PoC. The European Schoolnet and UCC University College are our international institutional partners in creating new and stimulating learning scenarios and enable to field-test products. Finally, a dedicated sales channel and an award-winning customer service is instrumental in helping teachers, students, schools and educational institutions prevent technical issues from disrupting the learning process. More than 600 Acer Education Partners act as a link between Acer and the world of schools and universities, providing end-to-end adaptive solutions that fit their specific setting. In addition, a panel of 40 Solution Centers across the region are fully dedicated to the education world, working closely with Acer on running pilots and training, while ensuring to bring a 360-degree expertise into classrooms.